“The Algerian government is trying to block the ongoing democratic process in the Maghreb region,” First Secretary of the opposition Socialist Forces Front party (FSS), Karim Tabbou, said. In order to achieve its schemes, the Algerian regime “funded the war in Libya, maintains the closure of land borders with Morocco and blackmails Tunisia,” Tabbou was quoted, on Monday, as saying by the Algerian Daily “Le Soir d’Algérie”. 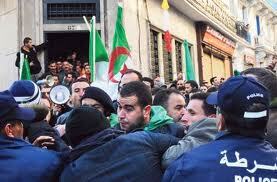 On the political situation in Algeria, Tabbou said that in the face of “a regime waging a war against reforms”, Algerians will not be able to have their revolution until trust is established with politicians. “If we cannot rebuild trust between the citizen and the politician, the crisis will further persist in our country”, Tabbo affirmed.